SAN FRANCISCO--(BUSINESS WIRE)--Twitch, the world’s leading social video platform and community for gamers, today unveiled new information about TwitchCon 2015 on its brand new landing page, including details about 40 panels and 50 Twitch broadcasting celebrities who will be taking part in onsite activities. In addition, EDM superstar Darude will be among the acts performing at the TwitchCon 2015 afterparty. In April, Twitch conducted an open call to the community and staff for panel submissions. This announcement resulted in hundreds of applications and a lengthy review process. As a result, the top 40 panels have been chosen with details about each one viewable on the new interactive TwitchCon website. On September 26 at 9:00pm PDT is the TwitchCon 2015 after party. This event is for ages 18+ with tickets only available for purchase to those purchasing a pass to TwitchCon 2015. 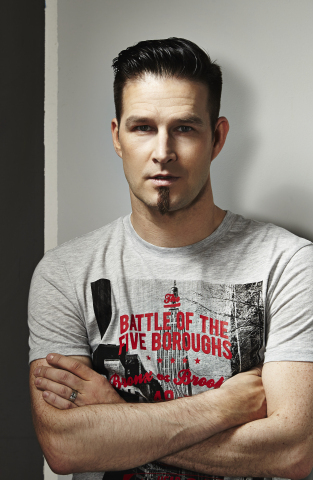 The first spotlight performer being announced is popular electronic dance music producer and DJ, Darude. Darude’s "Sandstorm" song is a staple among the Twitch community as an infectious track, as well as being a popular response in chat whenever someone asks what song is playing with a frequently used emote (duDudu). "The Twitch community has been really passionate about my music, especially in the way they hype ‘Sandstorm’ in chat and the support they have given my Twitch channel," said Darude. "I look forward to performing for this incredible group of gaming and music fans at TwitchCon." TwitchCon 2015 is taking place September 25-26 at the Moscone West convention center in San Francisco and is the first ever convention dedicated to Twitch’s community of partners, broadcasters, and viewers. To be kept in the loop with all TwitchCon news, follow the TwitchCon Twitter feed and sign up at TwitchCon.com to receive updates. For daily updates specific to TwitchCon, visit the TwitchCon Twitter feed, and for general Twitch news, visit the Twitch blog, Twitter and Facebook pages. To follow Darude, visit his Twitch, Facebook and Twitter pages. Twitch announces latest attractions for TwitchCon 2015 on new interactive site. This includes 40 panels being offered, 50 Twitch broadcasting celebs taking part, and Darude performing at afterparty.